The tour is so much fun. Everyone here is so nice and welcoming. I’ve been having a blast. The ONLY downside is flying internationally EVERY OTHER DAY!!! It gets pretty tiring. We’ll get back from the show around 1:30 then have to be at the lobby at around 6. We had to be down at 4:30 in Lebanon. Last travel day, MB’s daughter was in town and it was her birthday the night before. We went out and got back around 4:30. Had to be in the Lobby at 6:30. We tried to just stay up. Ended up sleeping for 20 min! Aside from that though, its been amazing. I feel so blessed! We have one day off this entire tour. 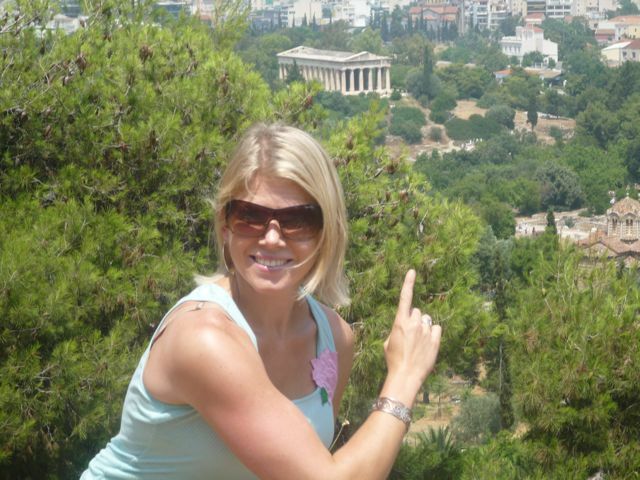 It was in Athens! We stayed in a hotel in downtown Athens. The place was really cute, but the “square” outside was a little rough. 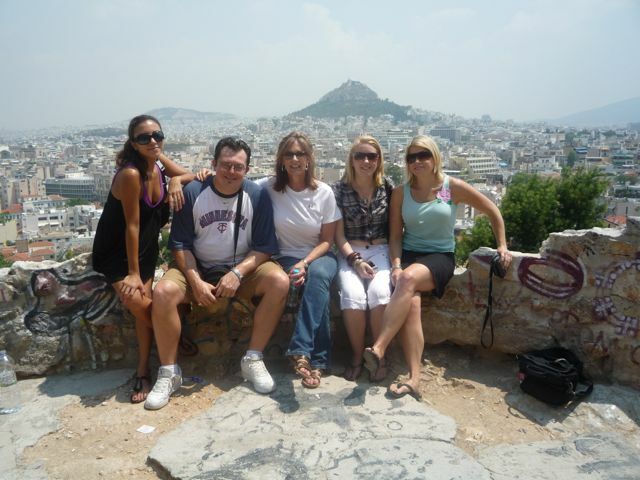 Definitely the choice spot for the druggies, homeless, and, how shall I say…..hookers, of Athens. I don’t think anybody knew that when they booked the hotel though! 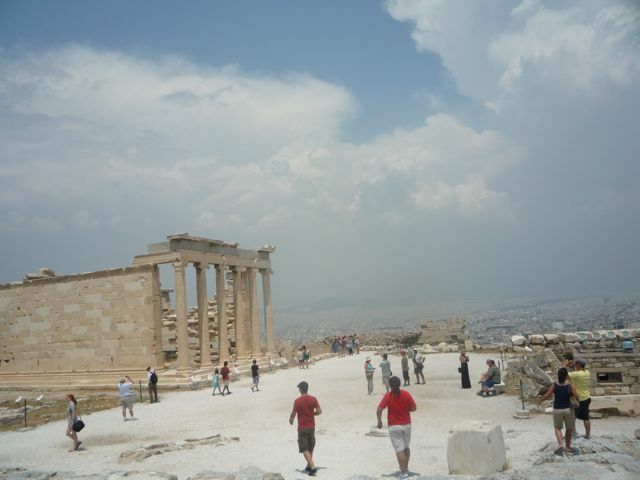 On the day off, we walked to the Acropolis/Parthenon area. It was just gorgeous. I got a lot of great pictures. The view It was SO hot. Reminded me of July in Charleston. After the tour of all that, we stopped to eat an authentic Greek meal down in the shopping area at the foot of it all. Had greek salad (with awesome feta) gyros, bread with tzaziki (sp?) sauce, and some other goodies. The waiter brought us watermelon juice shots afterwards. The show in Athens was a lot of fun. 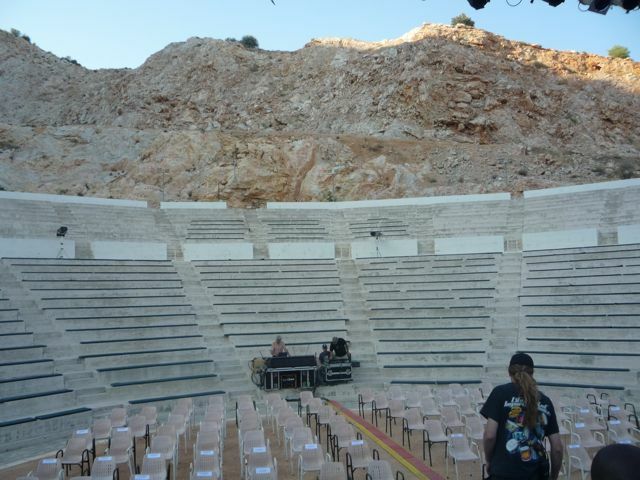 The venue was awesome. It was outdoors in kind of a rock quarry. Very different. Portugal has been great so far. The weather is awesome! Very crisp and cool. 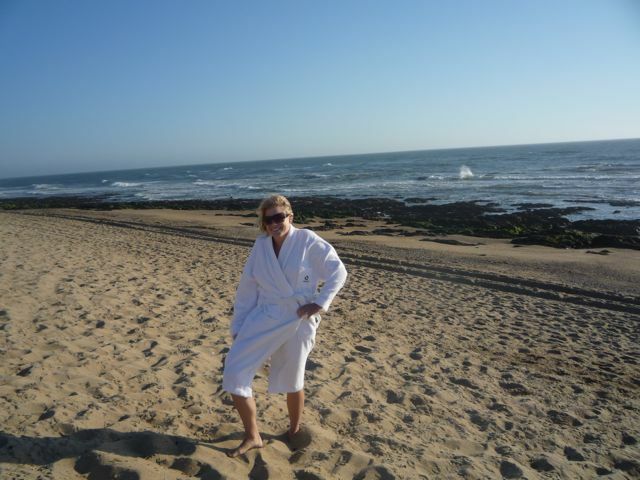 I walked out onto the beach when we got here but had to put on my bathrobe because I was cold. (SEE PIC) It stays light really late here. It is 10 pm right now and is just now turning to dusk. A few of us walked down the beachfront boardwalk last night to the next city over. There is a casino there. We had a drink, but didn’t gamble. WAY to smoky! We went to a nearby hole-in-the wall restaurant and had some great grub. I love finding little spots where the locals hang out and eat. This morning, I went for a jog down to the same area. Before though, I made sure to get breakfast. All of these hotels have free breakfast and the spread is awesome! Anyway, the beach area that I jogged to was hoppin! Tons of people were out on the beach. There were surfers- I really wanted to join them!! Volleyball and soccer games were abundant. A beach is a beach no matter where you are! 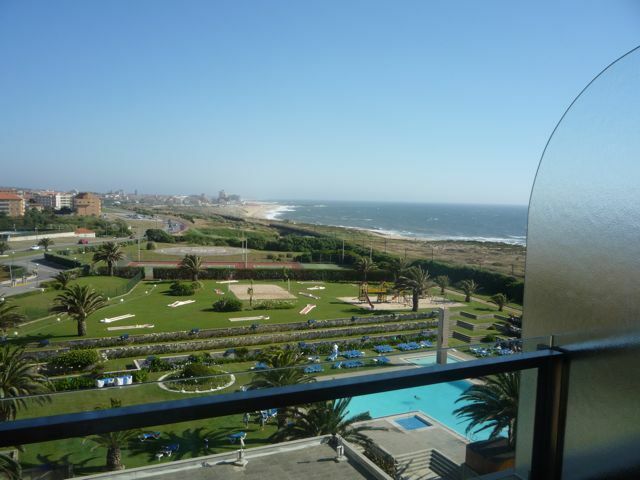 Our hotel here has an awesome pool area and beach view!! (SEE PIC) After my jog, I went to the pool and was joined by Jessy and Ellie. We stayed for about three hours before having to leave for soundcheck. So relaxing after all the travel! The venue is in a casino tonight. It will be different. Everyone will be sitting and eating dinner! Well, I think thats it for now. This entry was posted on July 9, 2009 at 9:21 pm and is filed under Uncategorized. You can follow any responses to this entry through the RSS 2.0 feed. You can leave a response, or trackback from your own site.